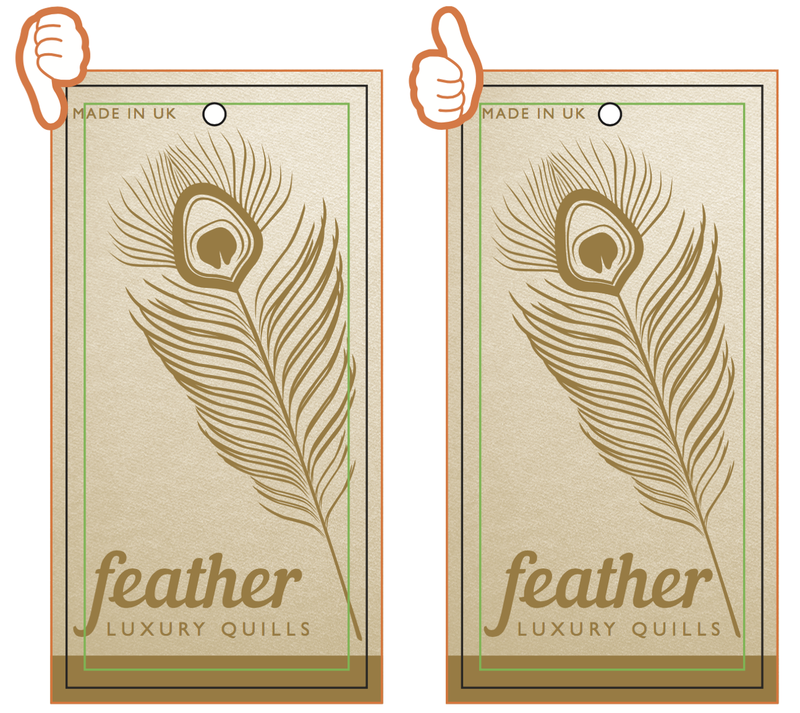 Guidelines on Creating Artwork for Your Swing Tags. 3mm of bleed is required on all edges. 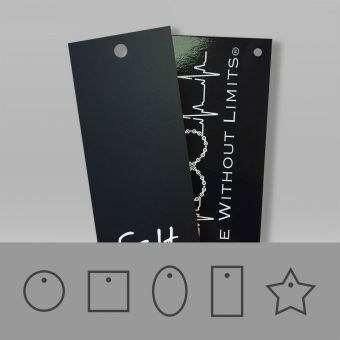 We cut the ‘bleed’ area off your tags to avoid unsightly white edges on your finished tag. Please make sure your background / images that you require to ‘bleed off’ the tag extends past the trim to meet the bleed margin. This is an area inside the ‘trim’. This ‘don’t cross’ zone should be kept clear of any borders/text/important items that is not required to bleed off. Please note: Abiding to the safe zone boundaries will ensure nothing gets cut off during the guillotining process. This is where we aim to cut your tags and is the ‘finished size’ of your tag once the ‘bleed’ is trimmed off. This indicates the size and position of your drill hole. You can choose from Diameter 3mm, 4mm, 5mm, 6mm & 7mm. Drill Hole positions available are Top Left, Top Centre & Top Right. Always refer to a tag by viewing it in it’s HANGING POSITION, with the drill hole at the head of the tag. 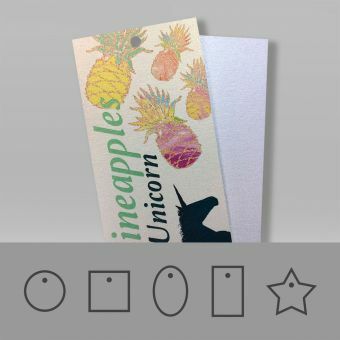 Whenever you create a tag design or view a PDF proof this is the correct process. Understanding this simple tip will help you avoid potential confusion regarding your tag order. 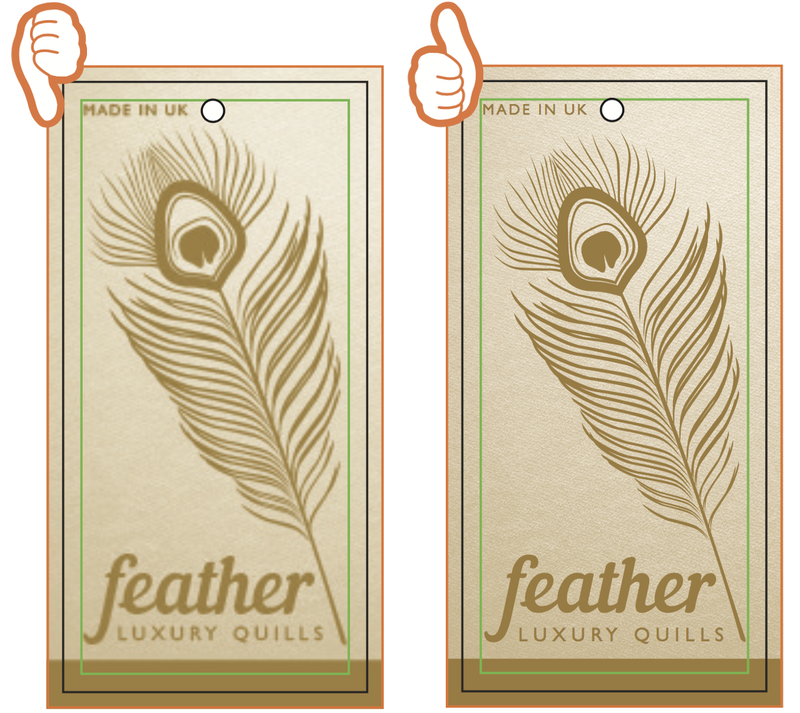 Bleed is the area of your artwork that extends past the edge of the tag trim (finished size). This is generally the background of your artwork. The bleed area of your artwork will get trimmed off when we guillotine your tag to its finished size. Natural movement of the printed sheets will occur throughout the printing process. Adding bleed to your artwork, will stop unsightly white edges appearing once your tags are guillotined down to their finished size. Please add 3mm of bleed on all edges. 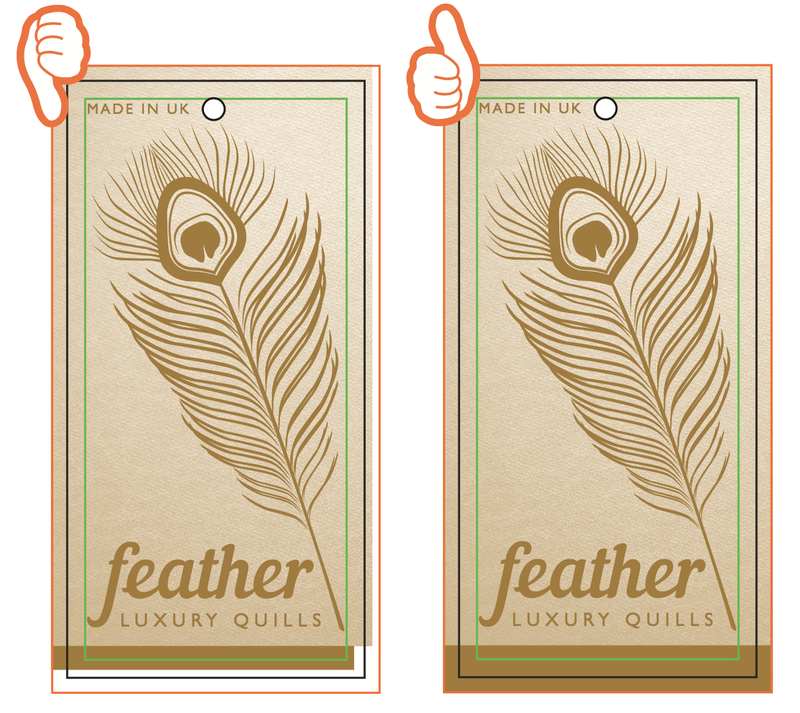 For example: If your finished tag size is 50mm x 100mm, set your artwork up to 56mm x 106mm (3mm on each side). This is an area inside the ‘trim’. This ‘don’t cross’ zone should be kept clear of any borders/text/important items that is not required to bleed off. Why do we need a safe zone? We have a safe zone to ensure you receive the best looking tag possible. Abiding to the safe zone boundaries will ensure nothing gets cut off during the guillotining process due to the natural movement. The only area of your artwork that should cross the safe zone are elements that you need to bleed off the tag. What size is the safe zone? 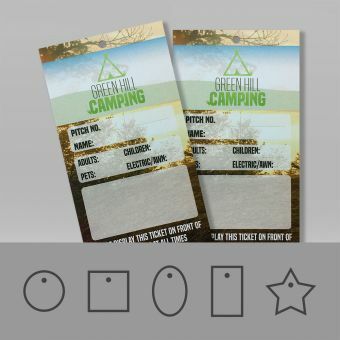 We recommend you keep text/ borders/important items 3mm away from the trim, your tags finished size. 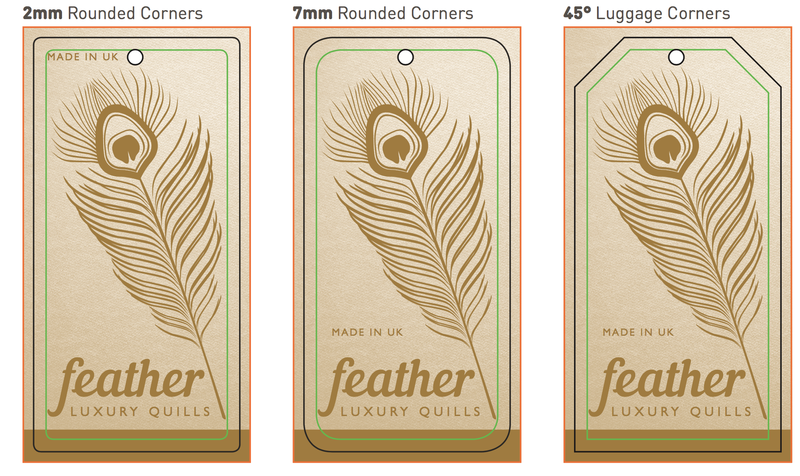 For example: If your finished tag size is 50mm x 100mm, set your safe zone to 44mm x 94mm (3mm on each side). 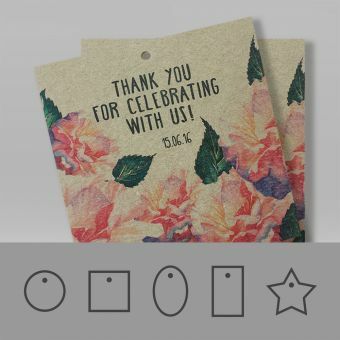 We want you to be thrilled with your printed tag order. If your design looks pixelated or low resolution on screen then you will need to supply it in a higher resolution to achieve a professional printed result. What is a low resolution image? Any image below 300ppi should be classed as low resolution. Images taken directly from a website will generally be 72ppi. This may be acceptable for viewing on a computer screen but not for a printing process. Low resolution images cannot be increased in quality unless the original artwork file is used. All images supplied at 100% in size between 300ppi-600ppi will print well. 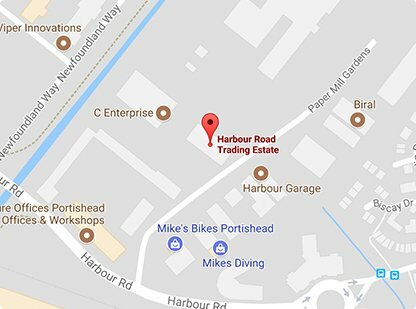 High resolution PDF’s will give you the optimum printed result. 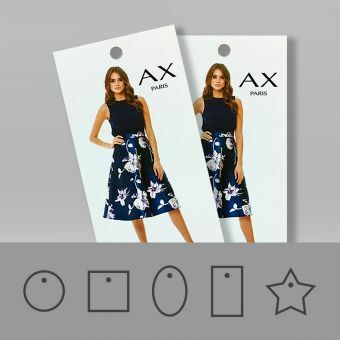 The dimensions of your artwork will need to proportionally fit the tag size you’ve ordered. If we need to amend your artwork to fit the tag size ordered an additional artwork charge may be applicable. We will place your supplied artwork at 100% in the centre of the artwork canvas. So please ensure you have followed the artwork guidelines to achieve the perfect result. 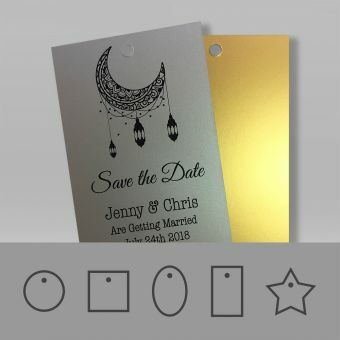 We have created pre-set templates in all of the shapes and sizes available to buy online. 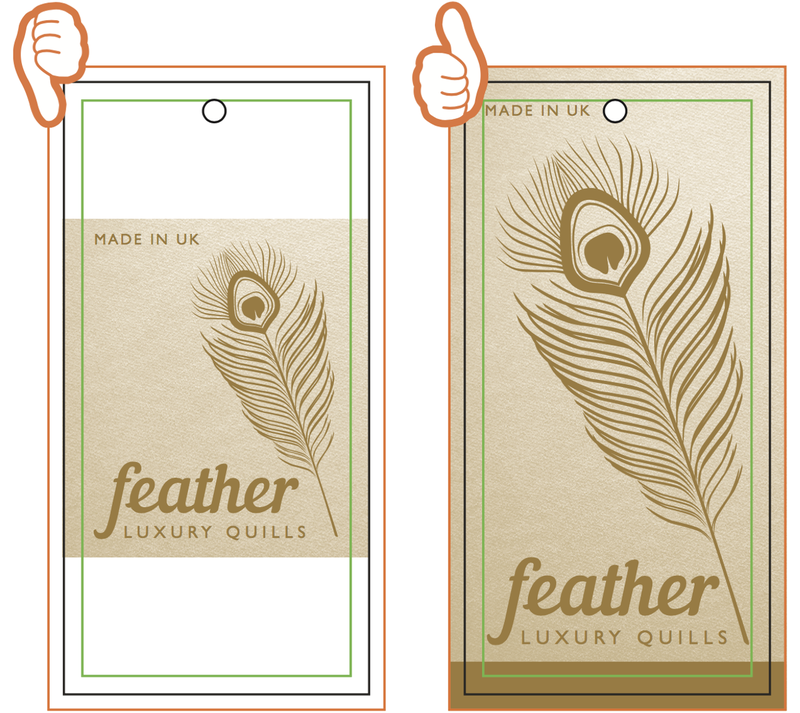 Simply download the template of choice and follow these guidelines step by step. 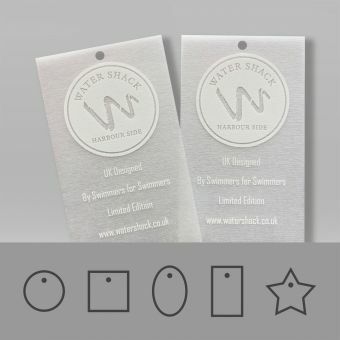 Alternatively, head over to our FREE Handy Tag Designer. Here you will find some great design tools to help you with your masterpiece. What is a drill hole? This is the hole you insert your fastening through to attach to your product. You have many fastening options to choose from. Please make sure to choose a big enough drill hole to suit your fastening needs. The size and position of your drill hole will be shown on your artwork. You can choose from: Diameter 3mm, 4mm, 5mm, 6mm & 7mm. Drill Hole positions available are: Top Left, Top Centre & Top Right. 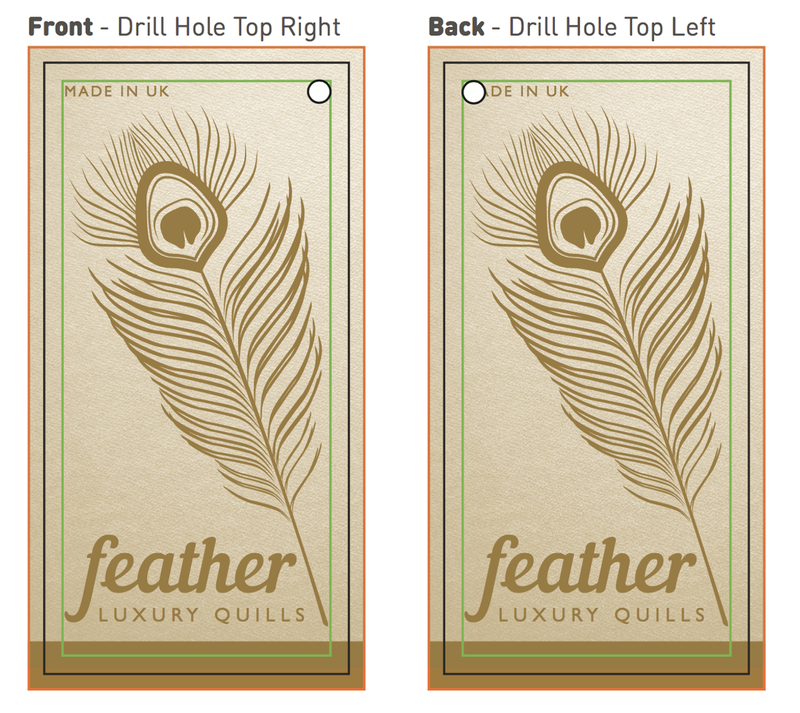 Important: If you require a double- sided printed tag and you choose a drill hole position of Top Right or Top Left, the drill hole will appear on the opposite corner from the front to the back. So make sure to consider this when creating your artwork. You don’t want your design drilled through! 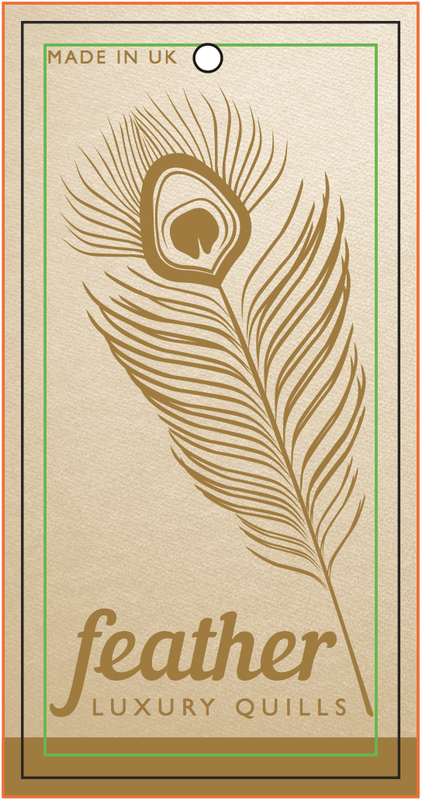 We recommend not to use borders on your design due to the natural movement within a printing and guillotining process. If a border is essential then please make sure it stays within the ‘safe zone’ for a professional finish. Furthermore, if you’re designing artwork for a double-sided printed tag then a border on ‘one side only’ is thoroughly recommended. 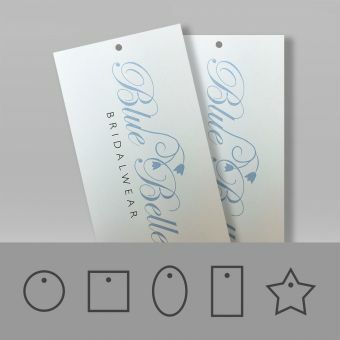 You may require the addition of bespoke cornering on your printed tag. 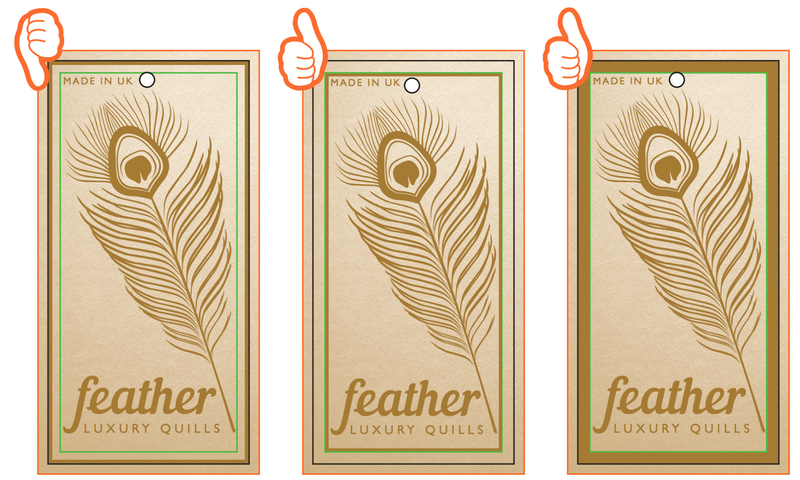 This subtle process can make a big impact when combined with a great artwork design. 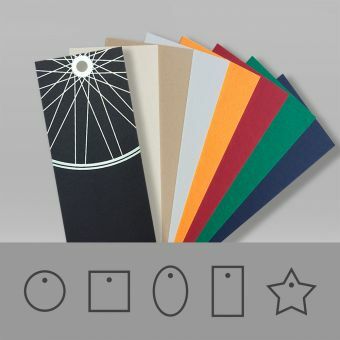 Choose from 2mm & 7mm rounded corners or the more traditional luggage corners, also known as 45°corners or shoulder corners. Please remember to pay attention to the safe zone and trim margins to ensure your artwork doesn’t get cut off in the cornering process. 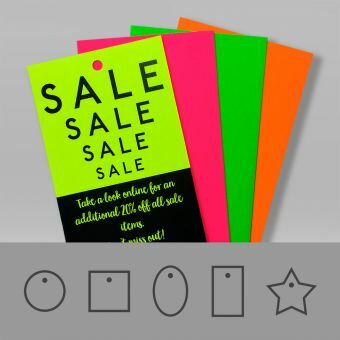 Please make sure you supply your artwork in colour mode CMYK not RGB. 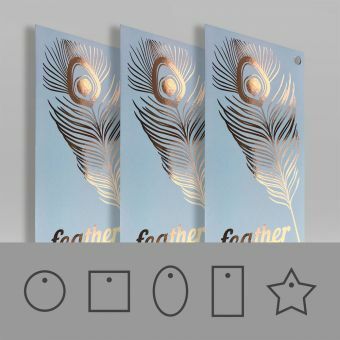 We love vector PDF files as it gives the best print quality but we’re able to accept the following file types: Adobe InDesign (INDD), Adobe Illustrator (AI), Adobe Photoshop (PSD). High resolution Jpeg, Tiff, EPS & PNG. 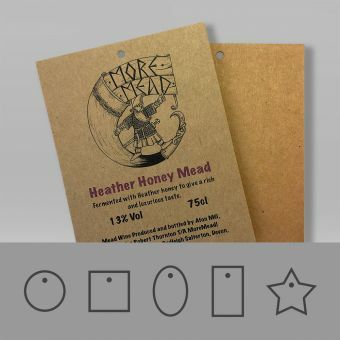 We recommend a minimum of 4pt text to be used on your tag artwork, any smaller will run the risk of your text being unclear to read. We hope you found this mini artwork guide useful?